The best club baseball programs have a lot in common. Quality coaching, a winning culture and successful alumni. 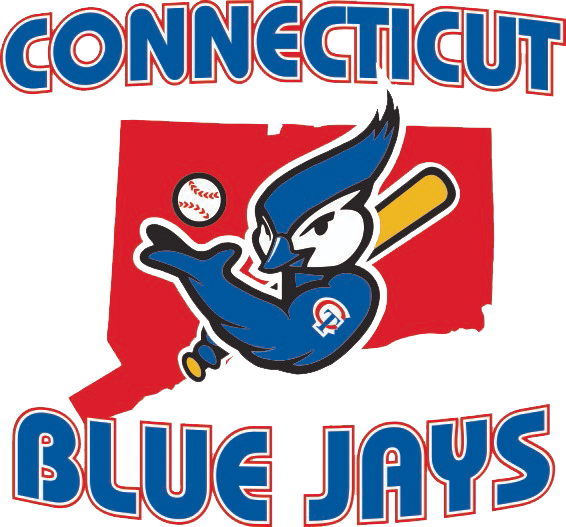 The Connecticut Blue Jays coaching staff is stocked with coaches who boast impressive resumes. They’ve dominated the competition in the northeast thanks to a well-thought-out developmental system. And that system has helped send countless players on to the college and professional ranks. As a result, more players want to be a part of their winning culture. To understand how this club was built and the impact that success stories like George Springer’s and Matt Barnes’ are expected to have on the club’s future, we sat down with the Blue Jays’ director Pat Hall. Two of your most famous alumni met in this year’s ALCS between the Houston Astros and the Boston Red Sox. 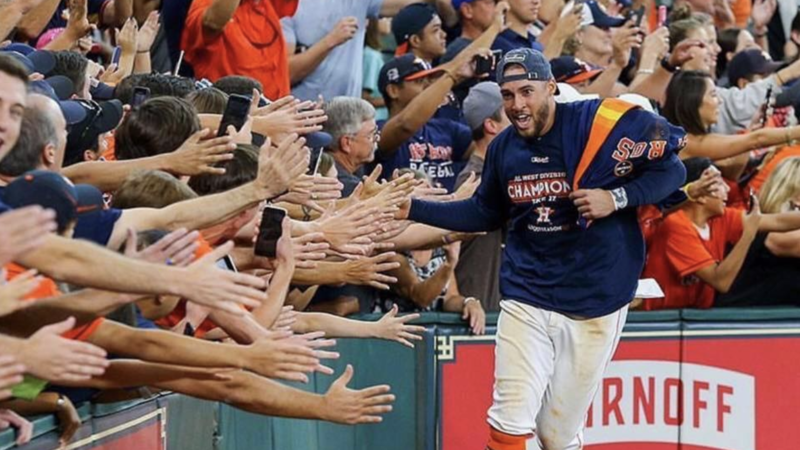 What were George Springer and Matt Barnes experiences with the CT Blue Jays like? George had come to the Connecticut Blue Jays when he was 12. And we got lucky because his father had reached out to a bunch of different clubs. They lived in New Britain — we were located in Norwalk, and that’s a good hour apart. We called him right back and once George came and worked out for us, the rest was history, that was good luck. He was undersized when he was young, but even back then it was apparent that his competitiveness and instincts for the game were off the charts. He came from a very athletic family. Both of his sisters were Division-1 softball players, his father played football for UConn and his mother was a gymnast. They were just salt of the earth, blue collar people who loved sports. That passion for the sports was imprinted on George. Out of high school, by virtue of being in the northeast, he was overlooked. He was a 48th round pick. So he ends up going to UConn where he continued to develop and by the end of that journey he was a first-round pick. People love to ask me, did you see this coming? And I always respond the same way. Congratulations to former CT Blue Jay George Springer and his entire family and teammates. George played in meaningful baseball games his entire life. He played in meaningful baseball games when he was 12, when he was 15, when he was 18, and now when he’s almost 30. So in that regard, it doesn’t surprise me, because he was always able to slow the game down in big spots, in those clutch moments. George’s success, as well as Matt’s success, is born out of their work ethic. It shines a light on the fact that in the game of baseball there’s a path for hard workers. You don’t need to be a high pick to succeed. Those two guys have earned absolutely everything they’ve achieved. Matt came to us when he was 14. He was long and gangly playing first base as well as pitching. He came from a great family, which provided a tremendous support system. And similar to George, his parents allowed the coaches to do their job and didn’t suffocate him as he was developing as a player and as a person. Matt did have a blessed arm, was a good athlete for a big guy and a pitcher. He did a good job fielding his position. He just needed to be patient, to develop into his body and develop his pitches. What’s wonderful about the stage he is on now, and people are seeing it this postseason, he has tremendous poise on the mound. He exhibits a lot of confidence in himself and trust in his teammates. Sometimes people ask how good is he? Well over the past three years he has the most appearances by any Red Sox pitcher. This postseason gives legitimacy to the argument that he’s one of the best relievers in baseball and I attribute that to hard work, confidence, and his time with the CT Blue Jays developing his skills over four years. How much of a positive impact does counting Springer and Barnes as CT Blue Jay alumni have on your club? I did an interview with Fox last year when George was in the World Series. I went down to see him and we had a few photos taken. And those publicity opportunities certainly helped our overall visibility. Beyond George and Matt’s professional success, we’ve established a track record of helping kids get into college over the past 18 years. Whether that be via a scholarship or just placing them in the right program that is a good fit for them socially, athletically and academically, that’s been the main goal. By doing that for nearly two decades, it has created a word of mouth movement that has really benefitted us. What do you think about using tech-based marketing in addition to word-of-mouth marketing? I pride myself in trying to evolve over time. Facebook, Twitter, and Instagram are all a part of our strategy. We do our best to create a lot of content to connect to the players, and we utilize social media in terms of getting the word out for our tryouts. LeaugeApps is going to help us tremendously on the technology side. From an organizational perspective, in how we catalog all the data and what we end up putting on the website. We just rolled out a new website this year, and making sure we’re keeping up with the times is critical. While Springer and Barnes rightfully grab a lot of the headlines, is there a former player who came through your program that exemplifies what the CT Blue Jays stand for? The first player that pops into my mind is Dean Lockery. Dean was a kid that went to Fairfield Prep and was from New Haven. He took the train from New Haven to Fairfield Prep every day all the way through high school. And in addition to baseball he was a tremendous hockey player. Out of high school, he received two offers to play baseball at the next level, Kean State, which was a D3 program, and Central Connecticut. He was an undersized infielder, with a lot of grit and a lot of battery. He came from a great family that stayed away and let him develop as a player and as a person. He played for us from age 15 to 18, and he kept getting better and believing more and more in himself and the system. That belief paid off for him. He ended up with 265 hits at Central Connecticut and ended his college career in the top ten of a handful of offensive categories in CCSU history. As a result, he was drafted by the Pittsburgh Pirates in the 32nd round this past year. An article was written this year about his experience in the Appalachian League where he bridged the gap between the Latino players and the American players. His dedication to learning another language, speaks to who he is as a person. Dean is a kid who not only was drafted by a Major League team but he also graduated in four years from Central Connecticut, something that is a rare combination. He is undoubtedly one of the players I am most proud of at the end of the day.